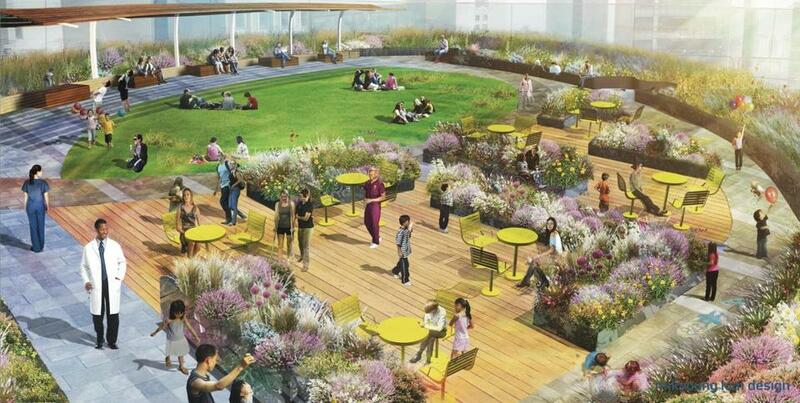 An artist’s rendering of a rooftop garden at Boston Children’s Hospital, one of several planned green spaces. For 150 years, Boston Children’s Hospital’s clinicians and researchers have tackled and solved some of the greatest health challenges facing children across the Commonwealth and the world. Our Longwood campus plans — under development for more than five years — are critical to the future of our mission to provide the most compassionate, high-quality care to all who come through our doors. Every day I hear from families desperately trying to navigate the health care system. I hear from parents of children with the most complex conditions, requiring care from multiple specialties, who have to wait because our capacity is at its limit; families who want the sanctuary of a single room but have to share space with another family facing their own struggles; mothers and fathers who have to choose who can stay the night with their critically ill newborn because our NICU bed spaces can only accommodate one chair. To be unable to provide these families with the solutions they deserve is unacceptable. To keep pace with the number and complexity of the children who need our care, we must have space that matches the vision and capabilities of our clinical teams. We must create facilities capable of supporting our ability to heal. Our buildings are old, and designed for a healing environment that is light years from how we operate today. What we can accomplish with new space is monumental: a state-of-the-art NICU with single rooms for families; a streamlined, interdisciplinary Heart Center with increased intensive care capacity; transformation of our operating rooms; and private rooms for all families — critical to both infection control and peace of mind. Our plans will benefit everyone who comes to Boston Children’s, but to achieve them, some things need to change. In recent weeks there has been increased attention to our plans and their impact on the Prouty Garden. Many voices on this topic are from those who are most important to us: our patients, families, and staff. 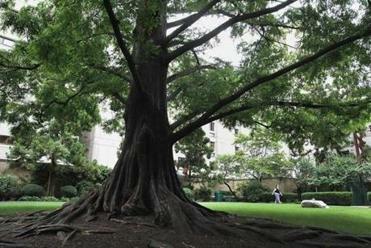 The garden at Children’s Hospital should be preserved — both for the pleasure of the sick children, and in memory of those who died there. I appreciate the concerns of those who want to keep the garden as it is; at Boston Children’s, no decisions are made without laser focus on how they will benefit the children we serve now and in the future. We have considered countless alternatives for adding to our campus. One had too small a footprint to create a functional clinical unit, and, at 800 feet from our main campus, would necessitate duplication of services, increasing cost of care. Another option interfered with MedFlight helipad access. The final plan, supported by our chiefs and board, was presented at more than 25 public meetings, and was approved through the mayor’s office in December 2013. Through all of these considerations, changing the Prouty Garden was our last resort, but no viable solution allowed us to leave it as is while still meeting vital needs for patient care. We worked closely with the Prouty Foundation to assure the new campus would carry on the traditions of serenity and healing that we have learned from the Prouty Garden. The current plan, developed and supported by the patients, families, clinicians, and staff of our Greenspace Workgroup and the Prouty Foundation, will bring gardens offering moments of tranquility and reflection across our campus. A ground floor quarter-acre garden will provide space for our children. New inpatient-unit terrace spaces and winter gardens for year-round use will better serve patients who cannot go outside. Our green campus will provide sanctuary to all who wish to visit it and include plantings and statuary from the Prouty Garden, honoring the memories of past patients and families while creating new ones. When parents need the most advanced, sophisticated care and best outcomes for their children, we are their first choice. It’s a privilege, and our responsibility, to lead advances that allow children with complex health issues to live longer, more fulfilling lives. The transformation of our Longwood campus is critical to our continued ability to find solutions to the most vexing problems facing sick children. With growth, we will increase our capacity to heal. Sandra L. Fenwick is president and chief executive officer of Boston Children’s Hospital.